Standing at the entrance to the Hermosa Beach Pier a few feet from the statue depicting legendary surfer and lifeguard Tim Kelly, Joe Charles’ status as a local icon was also made apparent. 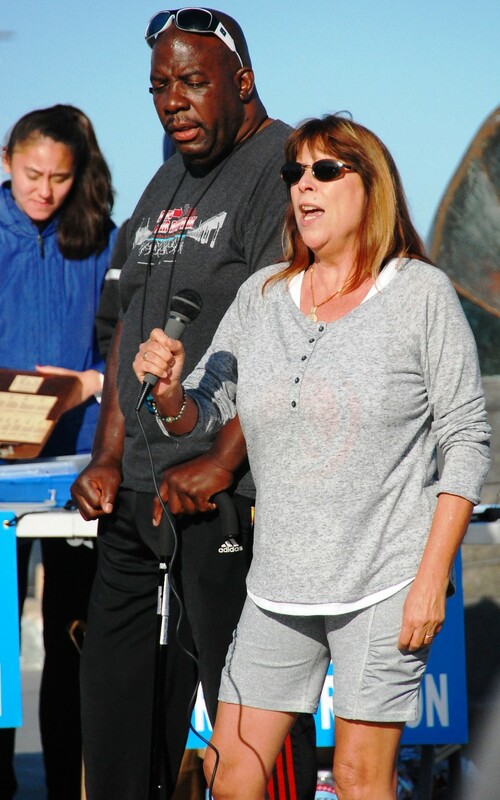 For more than one hour Saturday morning, Charles accepted hugs and posed for photos from well wishers who spoke words of encouragement to the 57-year-old who suffered a near-fatal stroke in January 2015. 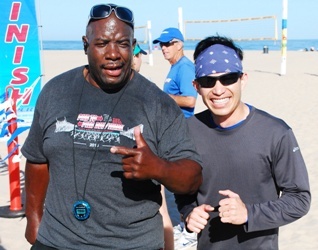 Charles’ recovery has astonished a multitude of people who have been trained by “GI Joe” at his Manhattan Beach Bootcamp, participated in his Spring and Fall Pier-to-Pier Runs or physically tested during his One Push-Up Challenges. 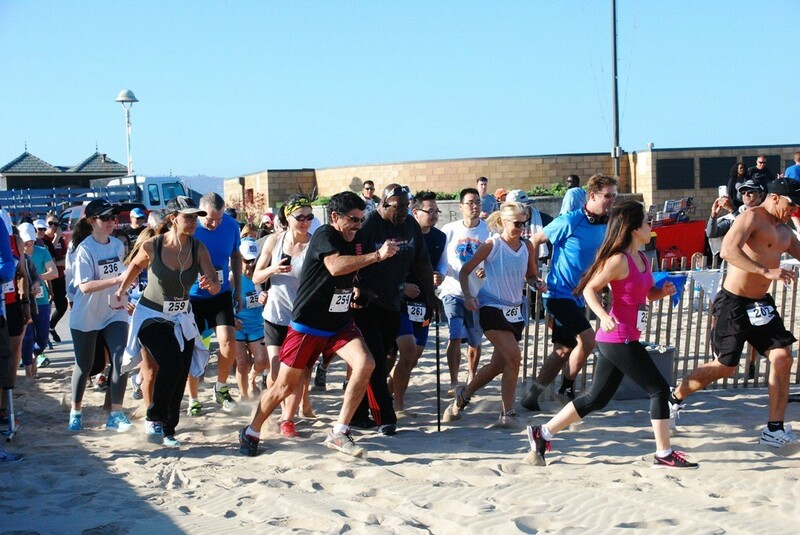 While Charles recovers and rehabilitates, Village Runner owner Mike Ward stepped up to help promote the event. In less than nine months, Charles has gone from a wheelchair to using a walker to a cane, which he currently uses. 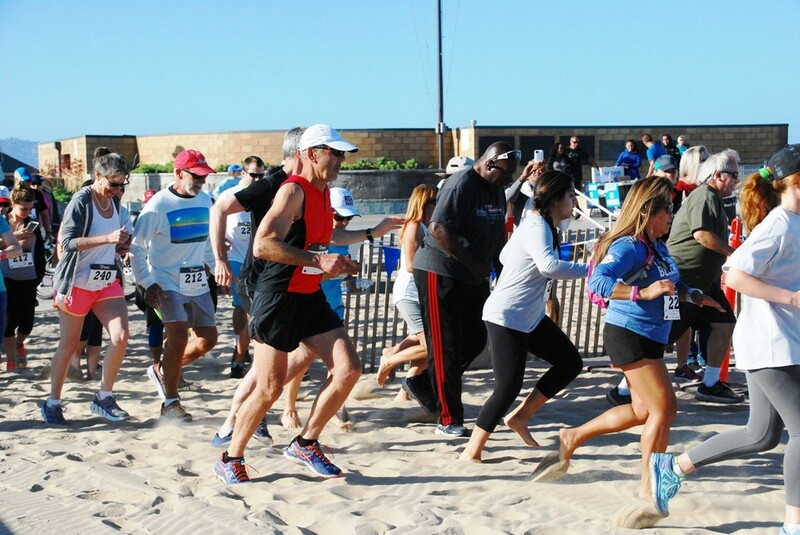 The biggest surprise, however, came when Charles handed off his cane and made his way to the front of the pack of runners at the starting line for this year’s Spring Pier-to-Pier Run. As the participants ran past Charles on their way to the Manhattan Beach Pier and back, Charles began his own quest. 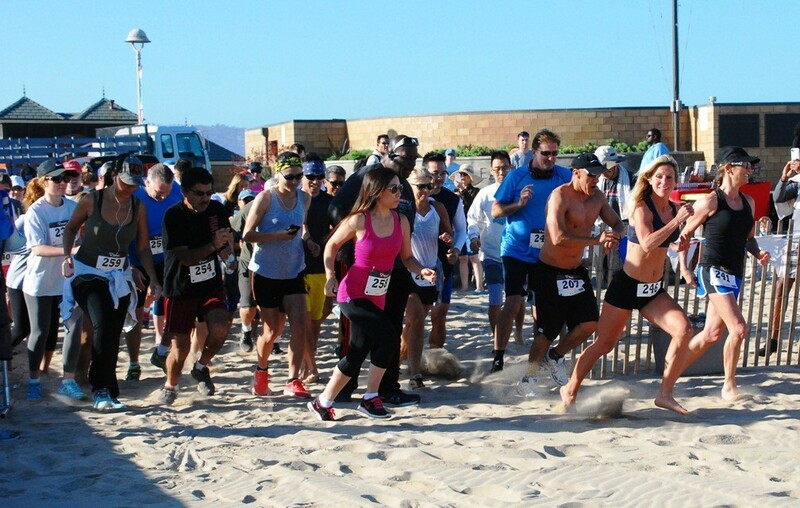 Walking in the deep, soft sand, he headed toward the water before turning north. 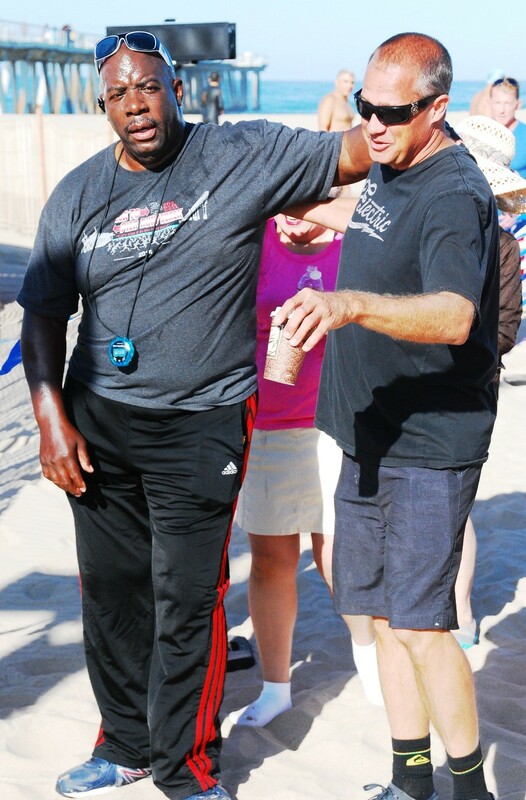 With a couple of aides by his side, Charles trekked to a second lifeguard tower before turning around. 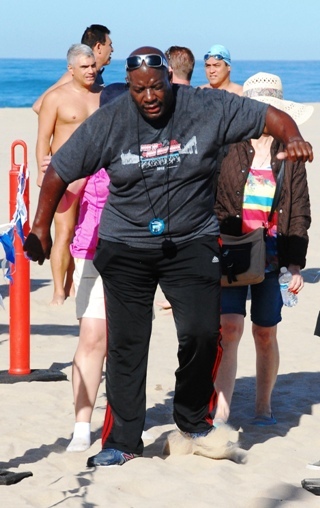 Sweating and breathing hard, Charles was obviously struggling as he focused on one step at a time. He soon looked to find a dozen people had formed an entourage that joined Charles for moral support as he made his way to the finish line. 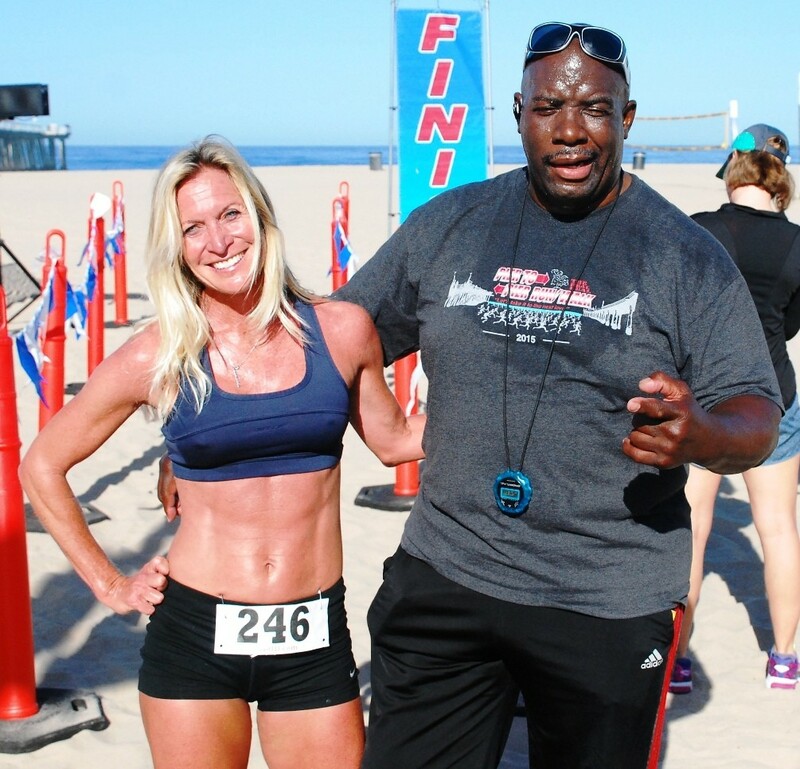 Bui posted a time of 24 minutes, 39.65 seconds beating Miguel Colon (25:08.18) and Con Mallon (25:15.79). .
Annie Seawright-Newton, of Hermosa Beach, is a local running icon in her own right. 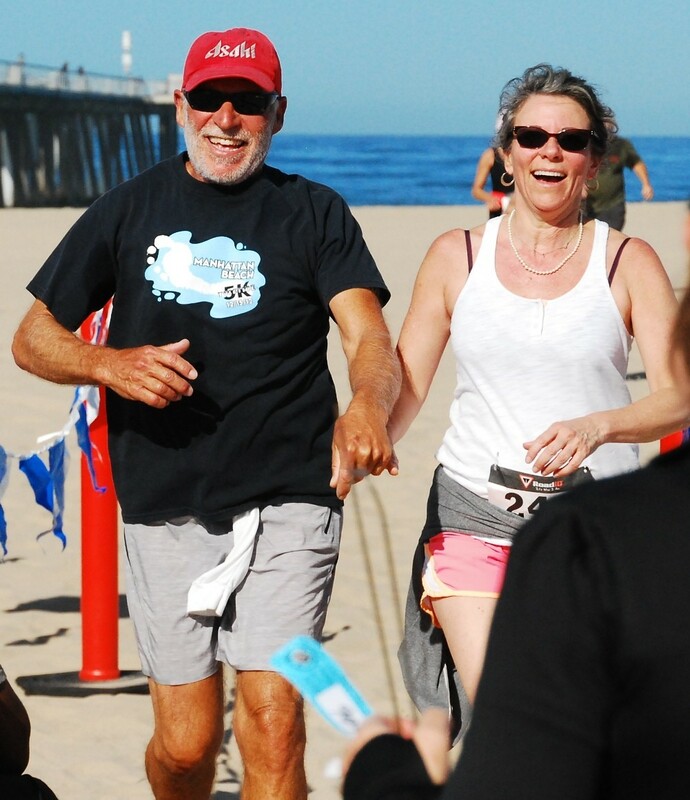 She was the first female to cross the finish line after competing in her fourth Pier-to-Pier Run. Seawright-Newton finished fourth overall with a time of 26:25.80 defeating Cynthia Ho (28:34.61) and Tina Carranza (30:37.40) for the women’s title. 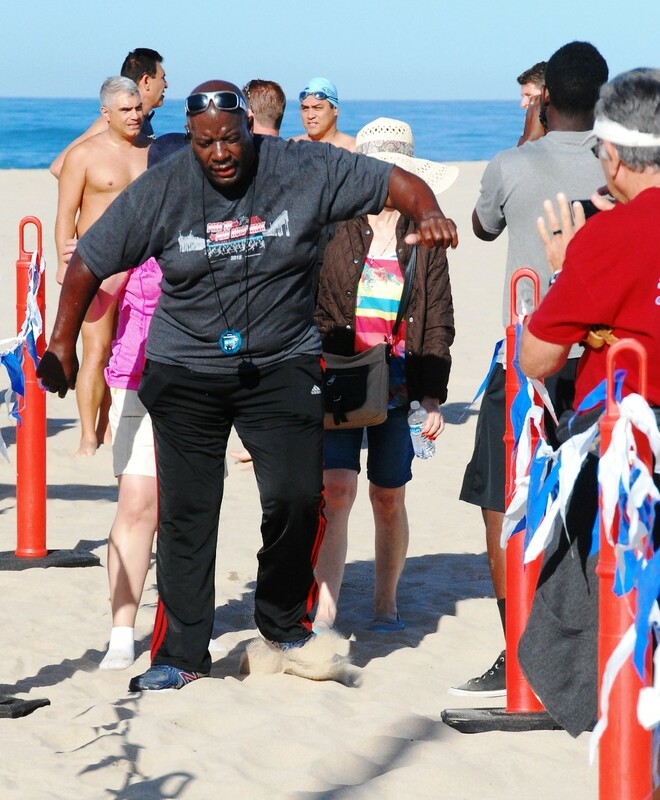 While participants and onlookers were inspired by Charles’ personal feat Saturday morning, Seawright-Newton gained motivation from Charles’ story earlier in the week.